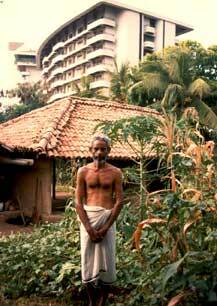 Being Sinhala to the village folklorist Farmer Mudiyanse Tennekoon was not a matter of religion or ethnicity, it was the practise of an elevated or exalted (arya) way of living: if you live in the Dhamma, the Dhamma will protect you. A nation of sun worshippers from a time before time, this general or common consensus (mahasammata) formed the bedrock of the incorporation of Buddhist precepts into Arya Sinhala. Joseph Campbell described four key functions of mythology: metaphysical, cosmological, sociological and pedagogical. The metaphysical function evokes a sense of awe at the mystery of existence. The cosmological function presents an image of the cosmos that maintains and elicits this experience of awe. The sociological function is to validate and maintain a sociological system with a shared sense of right and wrong. The pedagogical function of myth must provide the psychological support of the individual through the various stages of his life and to do so in accordance with the social order, the cosmos and the mystery of his group. I assure all Beings that, their lives are safe in my presence. I assure all Beings that, their possessions will be safe in my presence. I assure all Beings that, their moral goodness will not be violated by me. I assure all Beings that, their confidence in me will not be betrayed. I assure all Beings that, I will not abuse my own moral goodness. (from Pancha Sila by Asoka Devendra). So, if you fully know Dhamma you become it, and if you fully know truth you become it. Hence Gotama is not only spoken of as Dhamma-become (Dhammabhūta); he has as one of his epithets, 'He whose name is Truth', Saccanāma. Arya Sinhala necessitates constant mindful awareness and if practised properly increases sensitivity and discernment. The restoration of the common wealth of Lanka required no less than a return to the Village council and the rule of Mahasammata. Only if the rights of the peasantry to live a traditional life was honoured could any semblance of democracy return to Sri Lanka. It would be honoured when all living things were protected from the depradations of man. When our clean waters ran free nourishing the land and all that lived in it. When the people had leisure to pursue their interests, Tennekoon often said, "Everyone must dream their dream." The Devalegam (or villages) dedicated to various local deities, and administered by lay officials for the maintenance of rituals and ceremonies which formed an integral part of the traditional culture, its arts and crafts. Village elders constituted an ad hoc village council or Gansabha that conducted the affairs of each village. These were essentially the fulfillment of their individual obligations called Rajakariya, nominally service to the King, but in reality community service on behalf of the village. The gansabha also formulated the village Cultivation Plan and the regulation of irrigation water. The gansabha adjudicated disputes and dispensed justice and was entrusted with the conservation and maintenance of all natural resources. A network of village councils were grouped together as korales or divisions, next in to districts or disavas and finally a rajaya a kingdom or commonwealth with community ownership of land and natural resources. "...The legal administrative and social reforms initiated by the Colebrook-Cameron Commission in 1833 set in motion the disappearance of the traditional social system that had prevailed from the 3rd Century B.C.E... The Colebrook Reforms opened the way for the expansion of the colonial plantation economy with resultant wholesale degradation and destruction... of the forests, waterbodies and waterways, soils, flora, fauna and humanity nurtured by 2500 years of Buddhist civilization..."
Edward Goldsmith, editor of The Ecologist, interviews Sinhala village folklorist Mudiyanese Tennekoon. Tennekoon said that the restoration of the Commons of Lanka required direct political involvement by the universal adoption of Mahasammata. Each individual must recognise Mahasammata as the only legitimate ruler of Lanka. The key was not to consider the objective but simply to live it. He believed that once a majority of Sri Lankans began practising it, a tipping point would be reached and it would again become distasteful (appirri) to act outside it. We must restore the inherent sustainability of the puranagama system of life with the application of appropriate modern technology. It was crucial that such technology was from the public domain and capable of being built locally. As I said above, Tennekoon believed that everyone had a dream, and his was the resurrection of Dharmadveepa, the adhesion to Arya Sinhala in a modern idiom, and saw among the first steps in this direction the adoption of the principles of ahimsa by society at large. 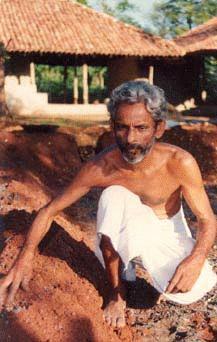 He especially felt that it was wrong to kill cattle but allowed that one could follow the Kataragama tradition and eat fish or fowl. Tennekoon's revolution is a passive one, its weapons are the banishment of ignorance and an aspiration to Arya Sinhala. 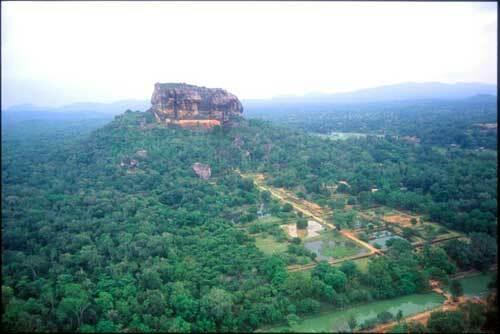 Despite colonial attempts to systematically destroy the arya way of Sinhala some semblance of it yet remains. There is still something worth saving. 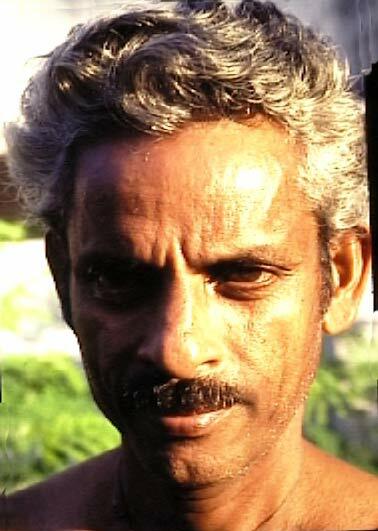 He dismissed as profane what he called the Galle Road culture and its post-colonial dystopia. His reality was a different one: "There is a way to behave and we learn it at the feet of our Mother." 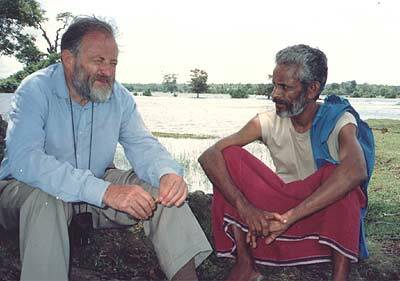 See also: "Traditional Agriculture in Sri Lanka: Edward Goldsmith interviews Mudyanse Tennekoon"